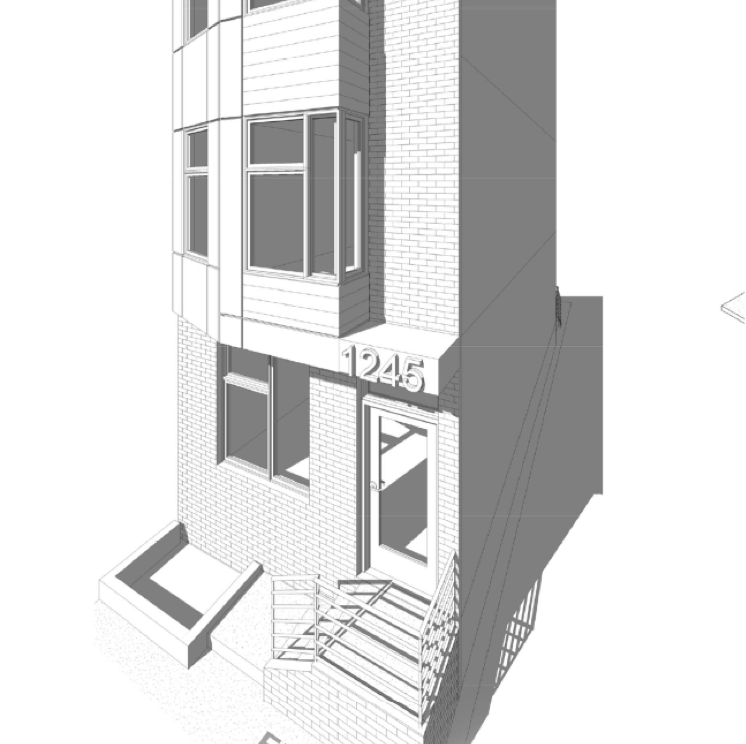 Design for a 2-family duplex in Philadelphia. The 3-story structure contains 2 units, featuring open plans & multi-floor living with roof deck. The exterior makes use of a uniquely shaped double angle bay, which adds not only interior living space, but also doubles as a small portico to provide shelter over the main entrance. Sleek black metal & stainless steel façade panels are composed with a natural wood element, that serves to further define the entrance.